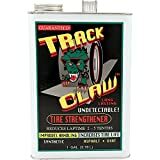 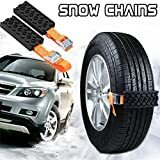 These cool new Trac-Grabbers are inexpensive strap-on tire traction blocks that help you easily get unstuck from snow, mud, sand, and other unstable terrain conditions. 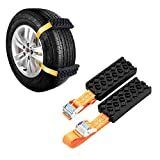 When your vehicle gets stuck, just strap and secure these handy blocks to the drive wheels, spin the tires until the Trac-Grabbers engage, and then let them pull you free under the vehicle's own power. 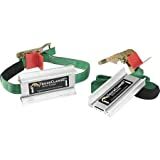 A great peace-of-mind accessory for cars, trucks, and all-terrain vehicles and much cheaper than by getting rescued a tow truck.